Colour in your very own comic book adventure! 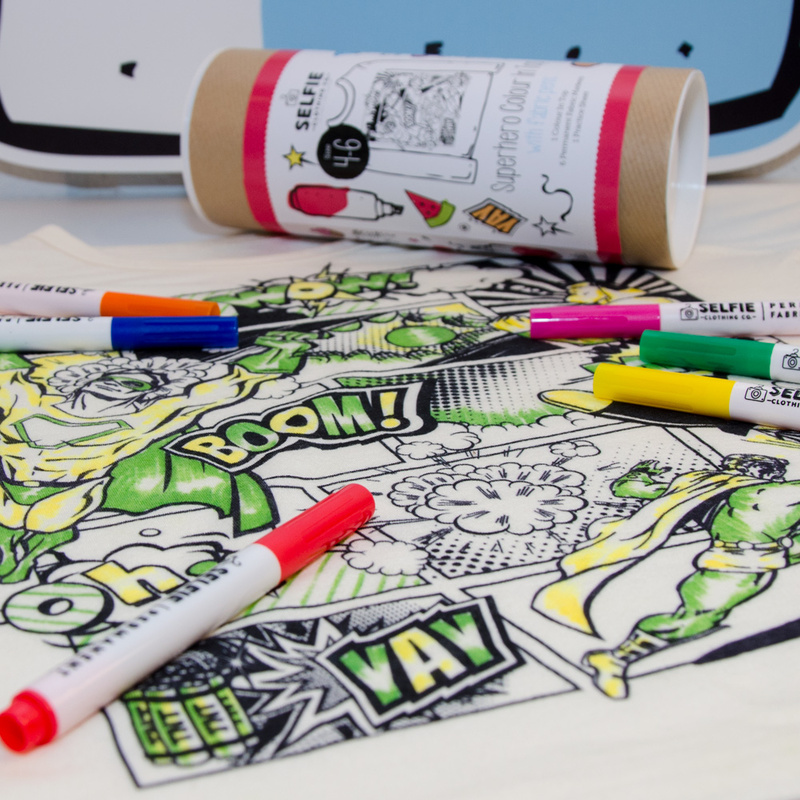 Get your little ones in the creative spirit with this comic book colour in top, including six fabric pens. The lightweight jersey blend top features a unique comic book colour in design, ready for your little ones to get creative with. The fabric pens use high-quality UV ink which can be air cured for 24 hours or ironed by a parent. The colours will not fade and can be worn time and time again.